The advances in technology over the decades are phenomenal. The mobile phone/smartphone in your pocket has more computing power than NASA used to go to the moon in the 1960s—the Apollo Guidance Computer (AGC) had approximately 64Kb of memory and operated at 0.043Mhz. Arguably, you’re also probably more attached to it than some people in your life because your “whole life” is in, it along with hundreds of cat videos (not judging – they're cute). So, what exactly can you do to protect your personal data (and the cats) on your phone? 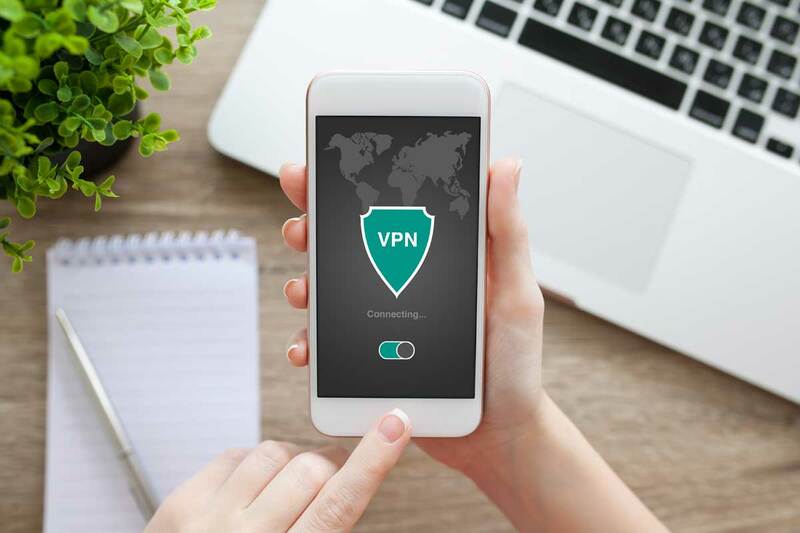 A mobile VPN is a downloadable app that serves the same VPN functionalities as its desktop sibling—most Mobile VPNs are lightweight versions, while some are fully featured. Note that “rocket-science-technology-in-the-palm-of-your-hands” aside, connecting to a VPN will slow down your internet access because encrypting and decrypting data requires processing power – a small price to pay considering all the awesome benefits. Plenty of choices. Choose wisely. As with all things, mobile VPNs aren’t created equal so you’ll need to consider the same issues of privacy, security, price, money back guarantee, customer support, number of simultaneous connections and speed when comparing services. Having said that, you might be tempted to try a free VPN, but... don’t. First, free VPN providers are almost always severely limited and cannot be trusted not to sell your data. Why would they do that? Perhaps because maintaining an online operation (“free VPN, everyone!”) is very expensive—&dash;so, if you’re not paying for the product, you are the product. In other words, they might be selling someone else information about you’re Internet habits. A small price for safety. Given that mobile VPN monthly fee typically runs the cost of a beer or of a Starbucks coffee, experts recommend signing up for a fully featured service. 1) NordVPN is one of the most reliable and secure providers that supports both Android and iOS devices. Unlike many Apple-approved VPNs, it also supports OpenVPN services. With over 3,500 servers across 61 locations, NordVPN offers fast and uninterrupted streaming, as well as 2048-bit encryption, DNS leak protection and a guarantee to not retain your data. NordVPN’s annual plan of $69 allows you to connect six devices simultaneously. 2) ExpressVPN has more than 1,700 servers across 148 cities in 94 countries. It also promises unlimited bandwidth, no data retention and boasts 256-bit encryption over OpenVPN, L2TP-IPSEC, PPTP, and SSTP protocols. ExpressVPN’s user-friendly features and 24/7 customer support make it a popular choice for Android VPN users. It offers three simultaneous connections and free Smart Domain Name System (DNS), along with a 30-day money-back guarantee. 3) IPVanish is US-based with a network of more than 40,000 IPs on over 1,000 servers in 61 countries. IPVanish boasts of solid server coverage and support for all major platforms and devices: Windows, Apple iOS, Linux, Android, Fire TV, routers, and Chromebook. IPVanish’s Android VPN app is a basic, but it’s easy to use, permits torrenting and doesn’t keep logs. IPVanish offers SmartDNS, 5 simultaneous connections and accepts Bitcoin payment. 4) VyprVPN, with over 700 servers in more than 70 locations, offers excellent speed and download rates. It supports multiple security protocols, including OpenVPN, L2TP/IPsec, PPTP and Chameleon-however, be aware that VyperVPN records a user’s source IP address, and keeps logs of connection times and the amount of data used for 30 days. Your best bet is the VyprVPN Premium plan that comes with VyprVPN Cloud, Chameleon Protocol and connects 5 devices simultaneously. VyprVPN offers a free 3-day trial. 5) TorGuard VPN has over 1,600 servers in more than 50 countries worldwide and boasts of “invisible” Stealth VPN service designed to bypass even the most strict Deep Packet Inspection (DPI) firewalls. TorGuard supports L2TP, PPTP, OpenVPN (including configuration that works with free iOS OpenVPN app) and cross-platform compatibility—Windows, Mac, Linux, Android and iOS, among others. TorGuard guarantees 100% privacy with a “no log” policy and offers 24/7/365 customer support. Make Your Choice and Sign Up. A VPN is always a good idea, for wherever you are and whatever you’re doing online. 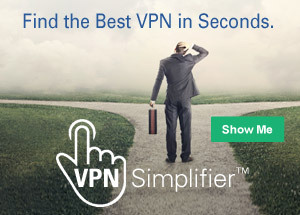 As mentioned before, simple click on the highlighted links above, which will take you to the VPN provider’s website or special offer and signup page. Most providers offer a trial period, so don’t worry too much about which one you choose. They are all solid providers and you’ll get to try your choice on for size.